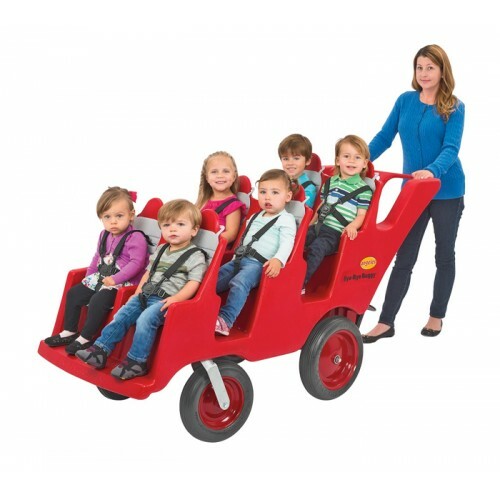 Make transporting children easier with our Bye-Bye Buggy®! “Fat Tires” make pushing trouble-free, even on gravel and grass and 360° pivoting front wheels add ease for maneuvering. 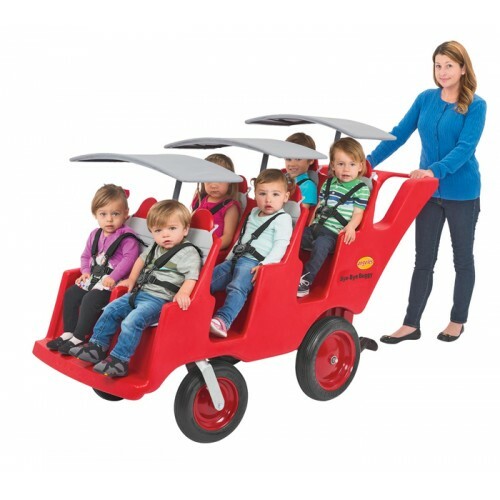 Our replaceable easy-to-fasten five-point harness makes buckling each child a breeze!